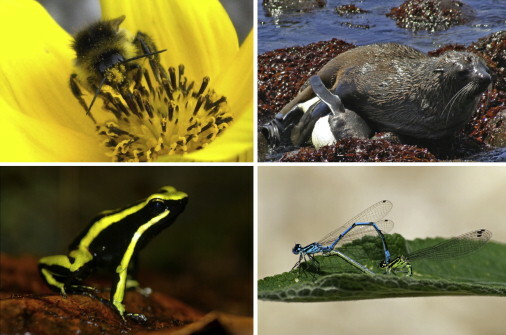 Examples of reproductive interference from our 2011 paper. 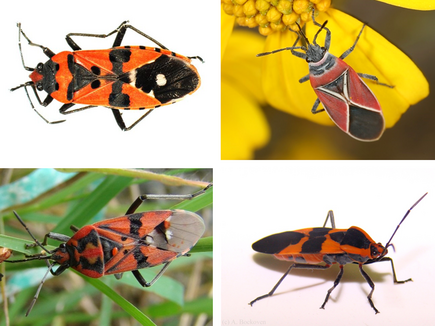 During my PhD I investigated the causes and consequences of reproductive interference in several species of Lygaeidae (commonly called seed bugs). In order to answer this question I investigated the effect of context and previous experience on mate preferences. It seems that, while male seed bugs typically prefer to mate with females of their own species, their opportunistic mating system can lead them to attempt to mate with other species (as well as other males, and nymphs) if they encounter them. I also looked at their cuticular hydrocarbons to see if these could serve as inter and intra specific signals that could be used when choosing mates. I found significant variation in these cuticular hydrocabons between species, and that males are using these cues during mate choice. So it looks like, in the case of my bugs, it is selection for males to mate with as many females as possible that causes them to occasionally mate with the wrong species. Mating more than once inflicts fitness costs on female seed bugs, shortening their lifespan, and harassment by multiple males can reduce the number of eggs they lay. Harassment for matings by males of other species can have the same effect, although this appears to be reduced in larger groups, possibly because females are more able to avoid harassment. In the wild this avoidance may also lead to females losing access to food patches. 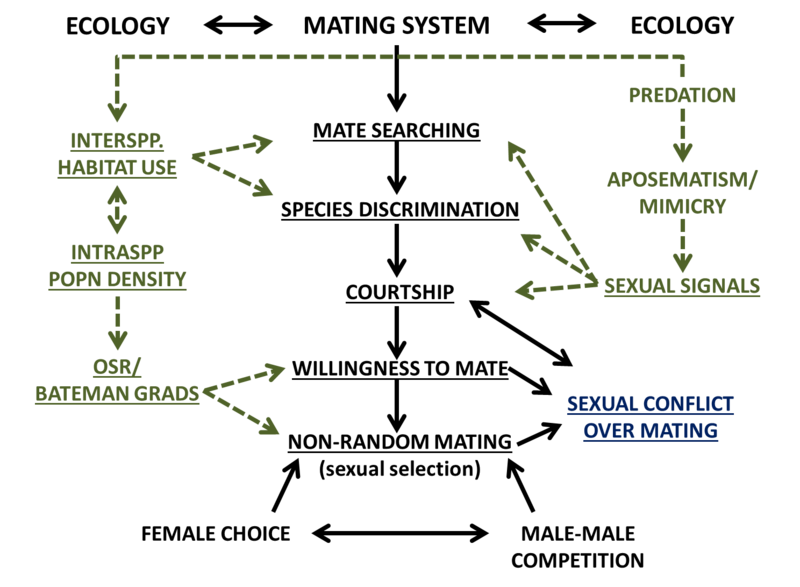 More generally the consequences of reproductive interference greatly depend on both the ecology and the mating system of the species involved. My research suggests that some mating systems may result in species being able to “tolerate” reproductive interference with minimal fitness consequences. While for others reproductive interference can be disastrous and can even result in local extinctions. The Lygaeidae are a family of true bugs found worldwide. My PhD work focused on five species collected from Europe and the USA. I used them to study interactions between species that naturally co-exist in the wild as well as those who would normally never encounter each other. For more information on this work see my old lab website. To learn more about the mating system of my bugs why not watch my talk at ESEB in 2013?